‘An astonishing and original tour de force … Golding is a genius.’ Daily TelegraphWhen the spring came the people – what was left of them – moved back by the old paths from the sea. But this year strange things were happening, terrifying things that had never happened before. Inexplicable sounds and smells; new, unimaginable creatures half glimpsed through the leaves. What the people didn’t, and perhaps never would, know, was that the day of their people was already over. 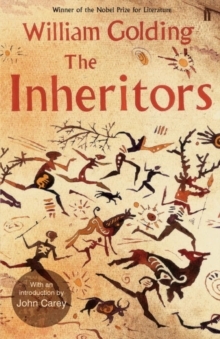 From the author of Lord of the Flies, The Inheritors is a startling recreation of the lost world of the Neanderthals, and a frightening vision of the beginnings of a new age.